A very fine small George II silent pull quarter table timepiece in lovely untouched condition. A fine four glass mantel chronometer timepiece in a rosewood case with white enamel chapter dial signed Fletcher London with inset seconds dial, gilt engraved dial surround. 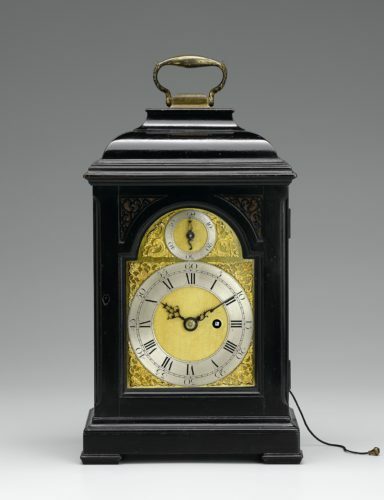 A fine and rare gilt chronometer carriage timepiece. 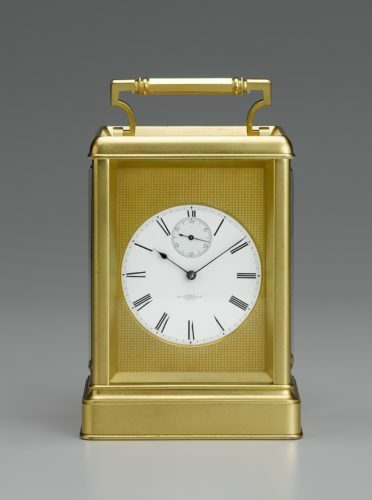 The 3-inch enamel dial signed Dent 33 Cockspur Street, London with seconds dial and set within a gilt engine-turned mask. An exceptional month duration mahogany wall regulator with square silvered dial signed Richens Bath. Subsidiary seconds dial and fine blued steel hands. 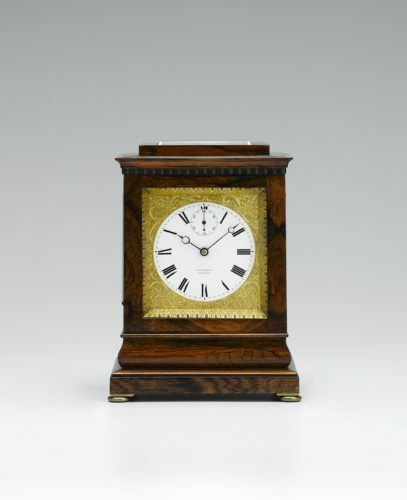 Dealers in fine antique clocks for nearly half a century our focus is on English clocks by the eminent makers of the 17th, 18th and 19th centuries.